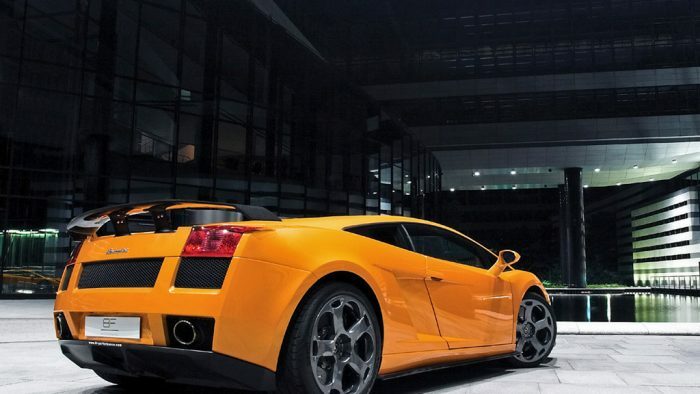 Once again, BF Performance is proud to present the next generation conversion based on the Lamborghini Gallardo, the GT 540. The car has been fitted with an optional aerodynamic kit which makes the car look like a baby 640. It has a newly designed front spoiler which makes it look like its bigger brother. The car also has side skirts under the sills and a magnificent rear diffuser. BF Performance also offers a choice of two rear spoilers SL or GT style. Of course the traditional wing door conversion is still available. The carbon fibre wing mirrors are beautiful and a must. For the first time BF Performance is showing a car with a new front compartment lid in visble carbon fibre. There is a whole range of interior enhancements, specially designed steering wheels and multi coloured carbon kits. A special high end entertainment kit with 10 new components make listening to music a real pleasure. The race seats are colour coded to match the car with leather and alcantara. A high performance exhaust system designed by the same company that builds the exhaust systems for five Formula One Teams is fitted with a remote controlled sound system. Engine performance is tweeked and the torque also has been increased. All parts are available in fine or coarse meshed carbon fibre with a matt or gloss finish. The car shown at the IAA in Frankfurt has a Carbon ceramic brake system fitted. Make sure to visit the stand in Hall 1.2, Stand A 24 in Frankfurt from the 13th to 23rd of September.